There’s so much you can do with the natural elements to revamp your home for autumn. Turn over a new leaf with some of these creative and exciting home decorating projects that will make your space even cozier! Bring the outside in by using tree branches in unique ways. There are plenty of DIY projects out there to help you get started, including articles that teach you how to string wire to the branches to create light fixtures. Tree branches can also be added to delicate fall bouquets and placed on end tables or coffee tables. Pressed leaves look clean and crisp displayed on a bookshelf or mantle. To do this, just press the leaves between two books and let them dry. Glue the leaves to colored canvas or, for a more finished look, mount the leaves between two glass slabs and frame them. These touches will add to the overall rustic feel of the room. Entryways and dining room tables are desired focal points for fall centerpieces. Darker-toned colors such as deep burgundies, burnt oranges, and brownish reds arranged together in translucent vases bring the eye in and warm up the space. 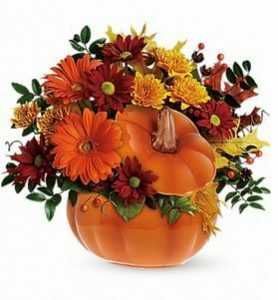 Our fall flower arrangements will achieve this look to perfection! You can tie pinecones to the bases of glass jars and fill them with your favorite potpourri or tea light candles to create the scent of fall. If you’re looking for a less-involved idea, jazz up your kitchen counter by finding different sizes of pinecones and gathering them into a large bowl to create an accent piece. At Dallas House of Flowers, we provide lavish, charming, and modern statement pieces for every season; don’t limit yourself to just one! Shop by occasion or flower type and see what we have available.